The cost of a long-awaited plan to prevent invasive Asian carp from reaching the Great Lakes has more than doubled to $778 million, federal officials announced last week. A draft plan from August 2017 estimated the cost at $275 million. But the project will now require additional engineering and design work, along with extra costs for environmental mitigation, according to a new feasibility report published by the U.S. Army Corps of Engineers. The plan, referred to as the Brandon Road Study, dates to 2015 and has experienced a number of setbacks, including a delay in its initial release by the Trump administration last year. The plan calls for upgrades of the lock and dam at Brandon Road along the Des Plaines River in Joliet, including the installation of a new electric barrier to repel or stun the fish. If approved by Congress, the project would be completed between 2025 and 2027, depending on the pace at which construction can take place, according to the Army Corps. The Army Corps says the upgrades would significantly reduce the risk of the problematic fish getting into Lake Michigan and beyond. There are several species of Asian carp threatening to invade the Great Lakes. If they do, advocates say the fish could have a devastating effect on the marine food chain and the region’s fishing industry. 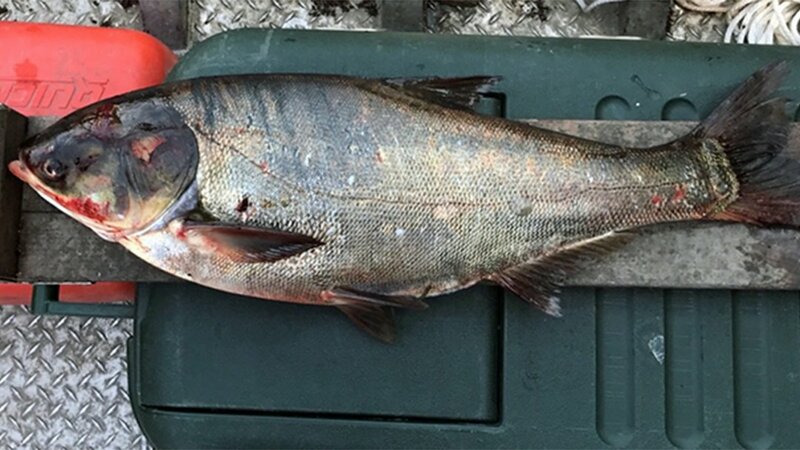 In June 2017, a live Asian carp was caught in a Chicago waterway about 9 miles from Lake Michigan, beyond an electric barrier designed to keep the invasive fish from reaching the Great Lakes. It was only the second time a bighead or silver carp has been found beyond electric dispersal barriers in the past eight years, according to the Asian Carp Regional Coordinating Committee. A final engineering report for the Brandon Road Study is scheduled to be submitted to Congress in February, with authorization of the project expected by fall 2019.